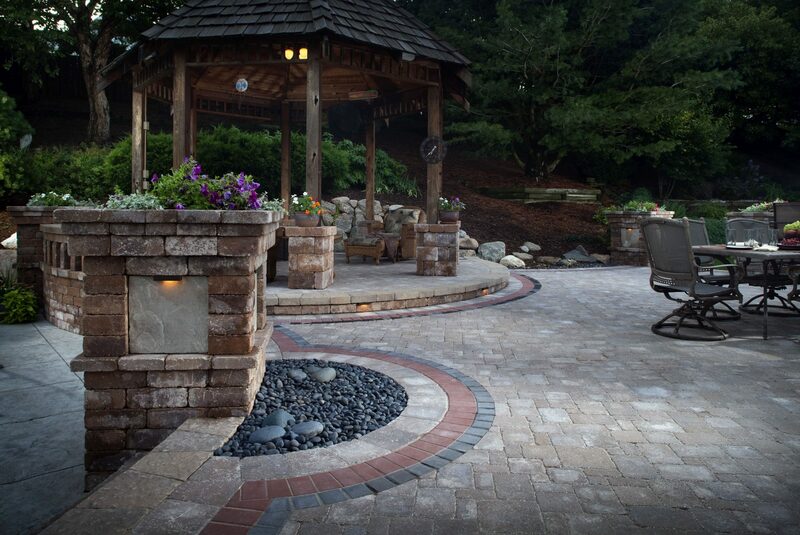 Whether you just need to replace some old pathway lights or it is time to completely remodel your entire backyard, it is important to know what is going on in the world of landscape lighting and what new options might be available to you. For ideas and inspiration, check out these seven 2017 landscape lighting trends that are changing the way homeowners think about outdoor lighting design. 1. LED Light Bulbs and Fixtures: This landscape lighting trend actually started a couple of years ago, but advances in LED technology have significantly increased the popularity of this option. LED light bulbs use less energy than older options, have much longer lifespans, and now come in an array of warm and cool light color choices that work for a wider variety of projects. Homeowners are choosing LED lights for their landscape lighting designs to conserve energy, save money and avoid changing light bulbs every few years. It should be noted that LED bulbs and fixtures incur a higher upfront expense when compared to most other options but save money over time due to the reduced energy usage and longer lifespan of the bulbs. 2. Simulating Moonlight: Simulating the glow of a full moon over your landscaping is a beautiful outdoor lighting trend that has the look of natural light. While it clearly can be used to set a mood and create a relaxing environment, it can also be used to increase security around your property and even to highlight landscaping features in a more natural-looking manner. To create this full moon effect for your landscape lighting, it is best to install your down lights at least about 20 feet above the ground in trees or on structures. If mature trees are available for this application, you can achieve a dappled moonlight look by installing the lights high in the tree and allowing the soft light to come down through the branches to create shadows and highlights for a more natural effect. Proper beam spread and glare guards are essential to achieving the natural look of moonlight, so you will most likely need the assistance of a professional lighting designer or installer to get the look you want. 3. Higher-End Fixtures for Porch Lights, Patios and Pathways: Homeowners are dividing their landscape lighting budgets a bit differently these days to allow for more money to be spent on the fixtures their guests will see. For example, front and back porch lights, fixtures on covered patios and visible pathway lights are getting more attention. These are the lights that will be most visible when they are enjoying their outdoor living areas and that are sure to be noticed by guests. Therefore, homeowners are spending a bit more on these lights to get higher-end options that are more attractive and complement their overall landscape design. 4. 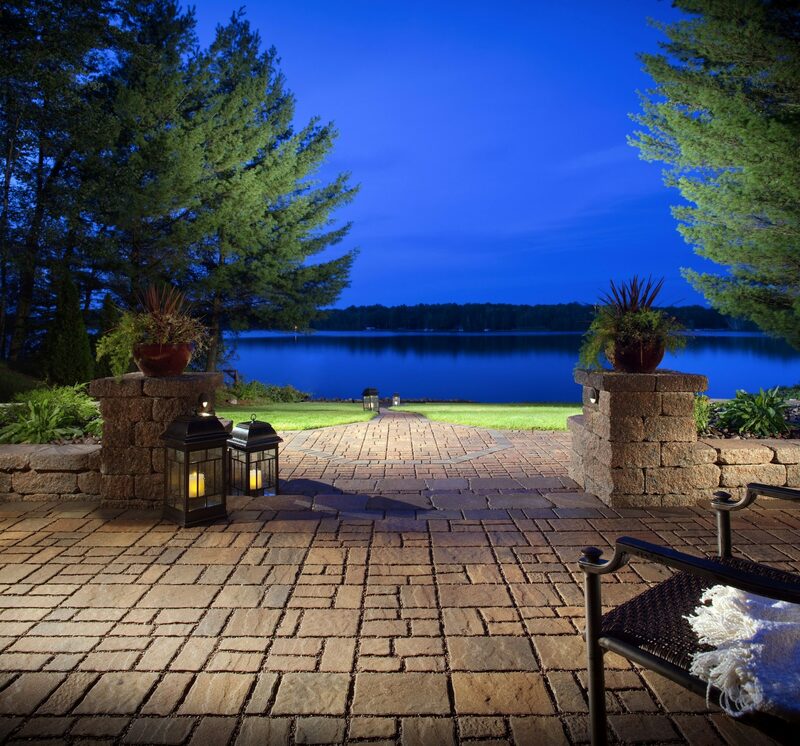 Underlit Hardscapes: Underlighting hardscapes gives a modern, attractive look to landscape lighting. Using this lighting design can increase safety by lighting steps when down lights are added to wood, brick or paving stone stairs and it can provide needed task lighting, as well as enhanced visual appeal, when used under the ledge of counters in outdoor kitchens. 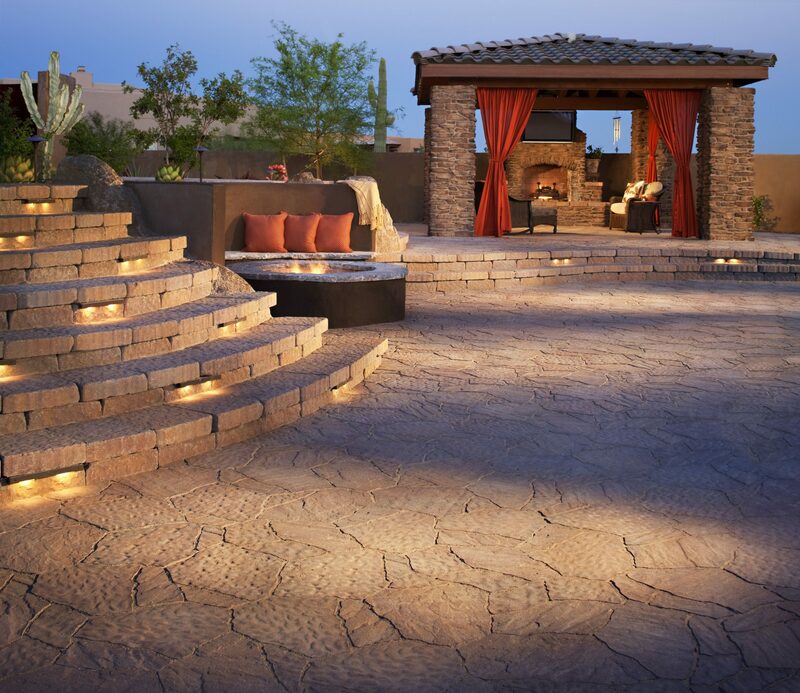 Underlighting can provide a particularly dramatic effect when added to paving stone walls, beneath paving stone benches and around fire pits, which adds visual interest even when the fire feature is not in use. 5. Task Lighting: Task lighting, as mentioned above, goes well beyond outdoor kitchens, particularly with the growing trend of installing lighting that can be both functional and an attractive part of your overall landscape design. 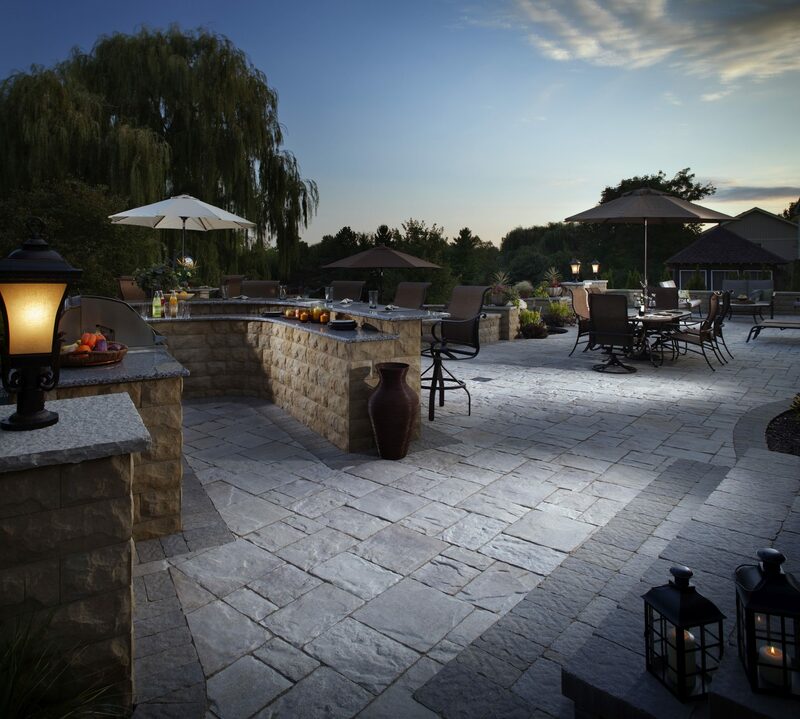 Task lighting for barbecue grills and prep areas in patio kitchens is nothing new, but homeowners are now transforming more space in their yards to usable outdoor living areas where they can work, dine, watch TV, read and play. As we begin to spend more time outdoors, we need to customize these spaces to better suit our needs. This could mean ample lighting to make our backyard gyms and sports courts safe, ambient lighting for an outdoor dining room, or a warm glow by which you can read or work on your laptop. The most important aspect of this growing landscape lighting trend is that task lights are seen as more than functional additions and are being incorporated into overall landscape design as an attractive feature unto themselves. 6. Lighting Water Features from Within: Homeowners are making their water features even more of a focal point by illuminating them from underneath the water. This includes up lights positioned to highlight fountains, strategically located fixtures that add accent lighting just where a waterfall hits the pool, illuminating a waterfall from below or adding a soft glow to a pond. Installing landscape lighting in water features requires a particular level of acumen so, while some outdoor lighting projects can be accomplished as a do-it-yourself backyard improvement, this is not one of them. You really must enlist the help of a professional who understands the electrical intricacies of installing lights under water to make sure this project is completed safely. 7. Dark Sky Friendly Lighting: Many municipalities are adopting Dark Sky initiatives or outdoor lighting ordinances that regulate when and how you can light your yard. Some cities, like San Diego, only allow certain types of necessary lights to be illuminated outdoors between the hours of 11:00pm and 6:00am, and many require light fixtures to be shielded to avoid glare and light being cast outside of the intended lighting area. Light pollution can keep city dwellers from gazing at the stars in their backyards, but it can also have far more serious implications, such as the detrimental impact it can have on sea turtles, which results in millions of baby sea turtles dying every year because they cannot find the ocean. Because of the negative effects on wildlife and the reduction of quality of life caused by light pollution, many people are implementing Dark Sky lighting recommendations in their landscape lighting design – even if they do not live in an area that legally requires it. If you have questions about outdoor lighting or are ready to start working with a landscape lighting installer to design your perfect lightscape, contact Install-It-Direct today at (858) 925-3000.